On behalf of admin of JML Law, A Professional Law Corporation posted in Car Accident on Friday, Dec 22 2017. Head-on collisions are rare, yet they are responsible for nearly 4,000 car accident fatalities every year (over 10% of all fatal crashes in the U.S.). 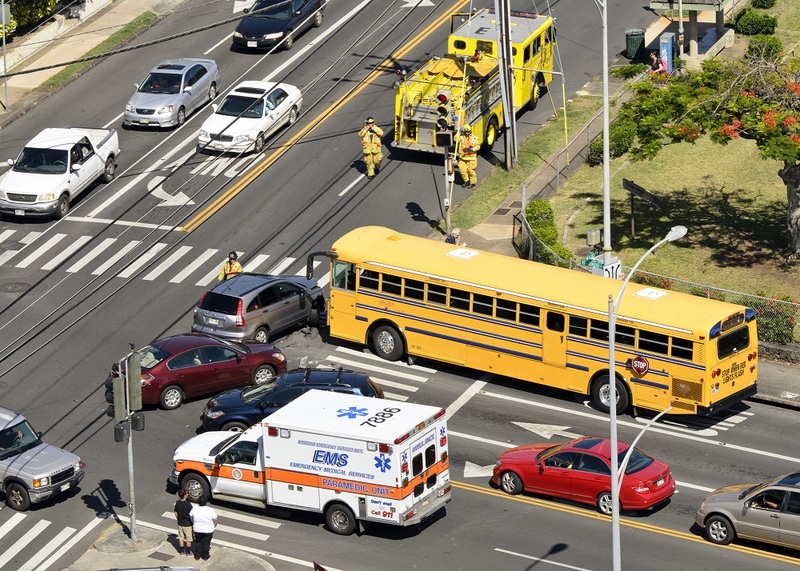 Fact: in a broader sense, head-on car accidents occur in only about 2% of traffic collisions in the U.S. Earlier this month, Long Beach residents became witnesses of a high-speed pursuit, which ended in a scary head-on collision. The Long Beach police started chasing a Honda Accord after four suspects attempted to get away with a robbery. During the high-speed pursuit, the Honda driver lost control of the vehicle and smashed into a pole. Two suspects were taken into custody, while other two reportedly escaped. The case reminded Long Beach residents of the dangers of a head-on collision and the catastrophic consequences it can have for the driver and all occupants in the vehicle. Violating traffic rules (ignoring traffic signs and signals). Not wearing a seatbelt at the time of a head-on collision poses a high risk of becoming fatal for the driver and other occupants in the car. Our best car accident attorneys at JML Law explain that, unlike other types of traffic collisions, head-on crashes are more likely to lead to the driver or occupants being ejected from the vehicle at the time of the impact. This, in turn, most of the times cause severe injuries and may even become deadly. Since head-on collision can be quite challenging to litigate – especially in single-car accidents where a driver hits a pole – hiring an experienced car accident attorney to investigate the accident and establish the chain of events leading up to the crash is vital to recover monetary compensation. Being a victim of a head-on car accident can be quite costly, as medical expenses associated with the recovery can reach tens or hundreds of thousands of dollars (in cases with catastrophic injuries, disfigurement and disability, even millions). Not to mention that many victims of head-on collisions can become temporarily or permanently disabled, which means recovering lost wages compensation is critical in this type of car accidents. Consult our Long Beach car accident lawyers at JML Law, a reputable California-based law firm that has helped victims of head-on collisions recover millions of dollars in total, to launch an investigation into your particular case. Our skilled attorneys will help determine liability, collect evidence and negotiate with insurance companies in a way that will help you maximize compensation for your injuries, damages and losses. Call our Long Beach offices at 818-610-8800 or send an email to get a free initial consultation.